This entry was posted on Wednesday, August 8th, 2012 at 2:07 am and is filed under Uncategorized. You can follow any responses to this entry through the RSS 2.0 feed. You can leave a response, or trackback from your own site. I’m Commander Shepard/ Ms Fallout 3/Adam Jensen/every Final Fantasy character ever and I think your side quest is lame. Now if you’ll excuse me I need to go read some books for easy XP. Does that tree have those climbing rails you see on power lines? But the characters were so likeable and intelligent and the sphere grid was so intuitive. And it all made perfect sense. Pilli es un monstruo!! Como se atreve a dejar una pobre alma en desgracia? 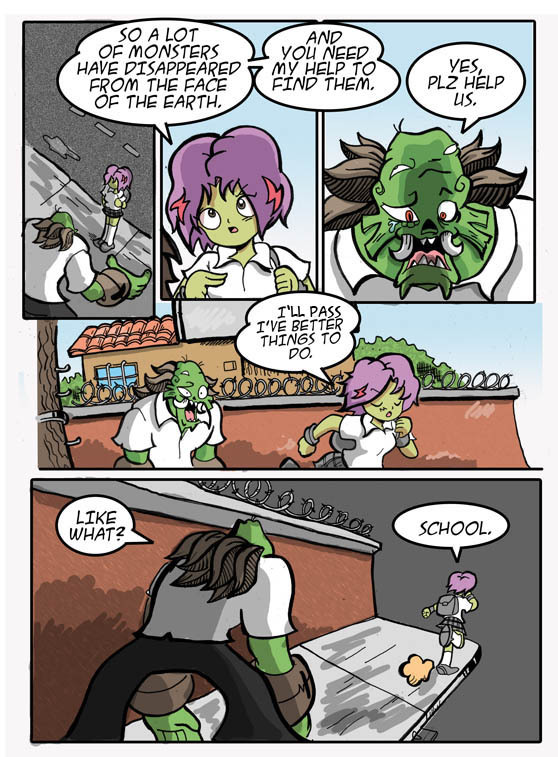 What if fighting monsters WAS your school? BUM BUMmmm the newest most popular book series ever: monster fighting boarding school adventures.